Inaugural issue of the Journal of Yoga Studies. 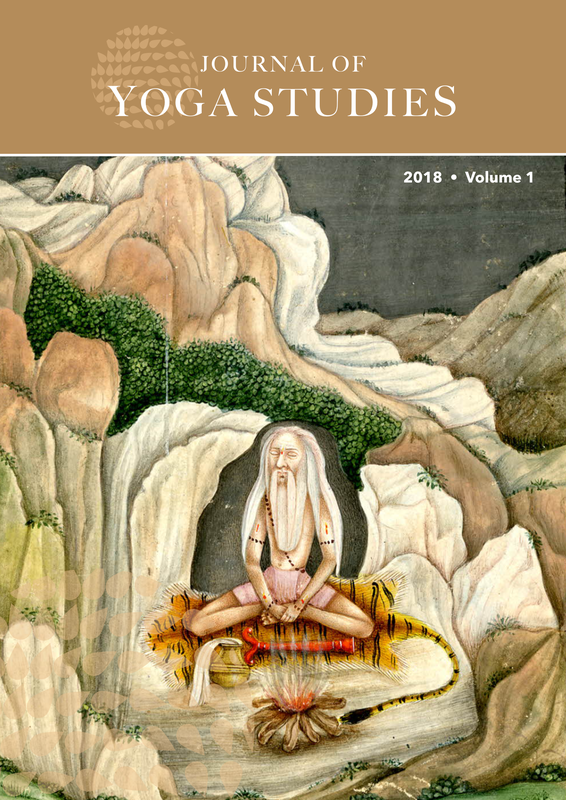 The Journal of Yoga Studies (JoYS) is a peer-reviewed, open access e-journal committed to publishing the highest quality academic research and critical discussions on all topics related to the study of all forms of yoga, from ancient to contemporary, across multiple humanities and social sciences disciplines. Note that JoYS does not accept submissions of natural sciences, medical or experimental psychology articles, but would welcome review or analytical articles written by specialists in these fields with the specific aim of reporting relevant findings to non-specialist academic readers. Authors will retain copyright of their articles. JoYS aims to serve the needs of this emerging field of study by offering a forum for reporting on research findings, discoveries, theoretical discussions and critical debates in the field, and for disseminating critical editions, translations, book reviews and other key reference materials. As the ‘study of Yoga’ is a broad and varied subject, the scope of JoYS is inclusive of all forms of rigorous intellectual activity including but not limited to Religious Studies, Modern, Medieval and Classical History of South Asia, Indology, Philology, Philosophy, Anthropology, Sociology, Political Studies, Literature and Arts. To start with, papers will be published on a rolling-basis throughout the year in electronic form only (downloadable PDF). A yearly collection of papers will form a single volume of JoYS. On occasion, a number of papers may be gathered together under a specific thematic heading (article sets). The scope of JoYS is limited only by the expertise of its editors and peer-reviewers. Guest editors may be invited to oversee the production of a JoYS article set themed towards a specific topic or subject of interest. JoYS published its two inaugural articles on 1st May 2018.